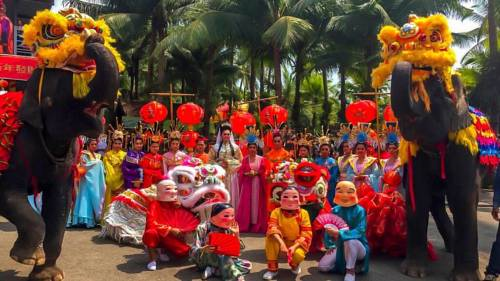 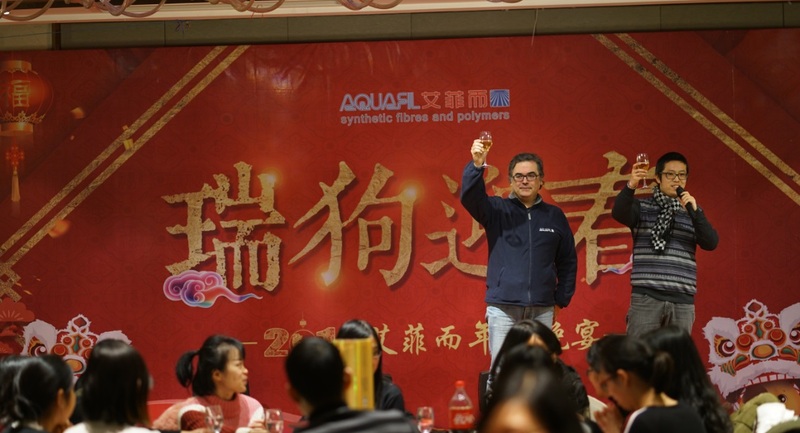 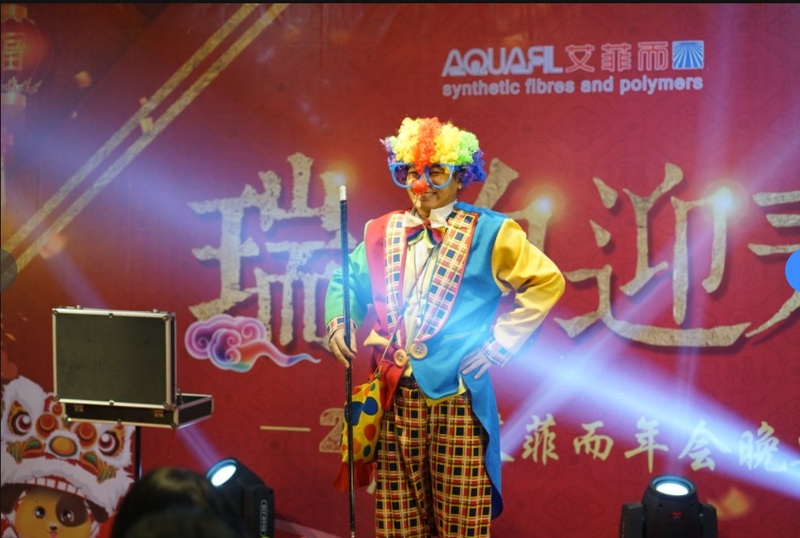 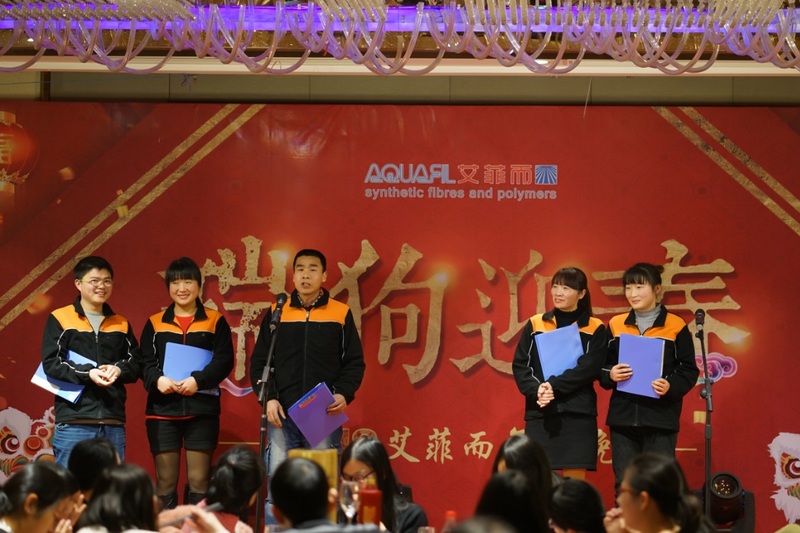 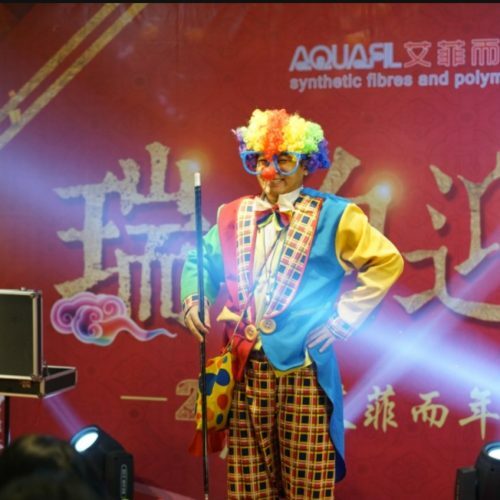 Aquafil - Here’s how they celebrated the Chinese New Year at Aquafil Asia Pacific and China. 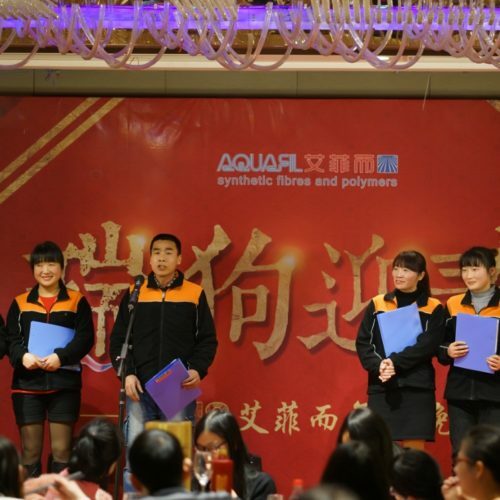 Here’s how they celebrated the Chinese New Year at Aquafil Asia Pacific and China. 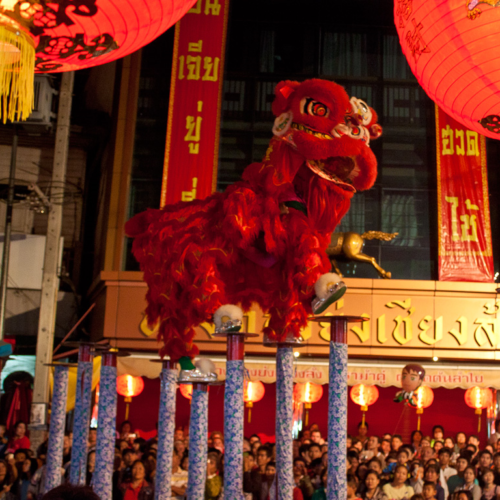 The Spring Festival, known as the Chinese New Year, is the most important annual festival in China. 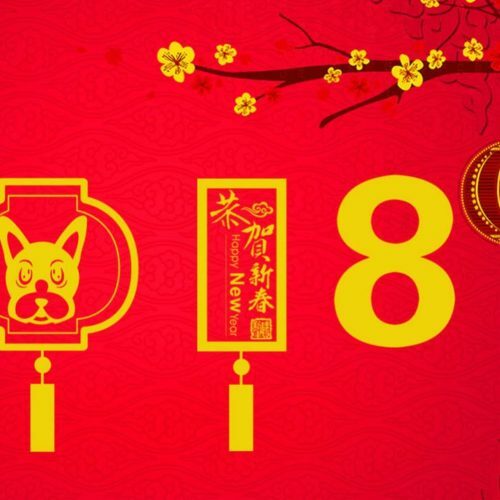 According to the Chinese Zodiac, 2018 is the Year of the Dog. 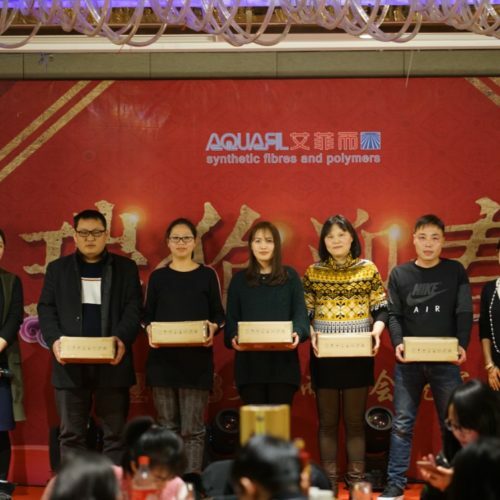 Even our colleagues in Aquafil Jiaxing China celebrated, they sent us some pictures of their moments of joy in the company: a ballroom lit by stars, delicious food, live performances and a prize drawing. 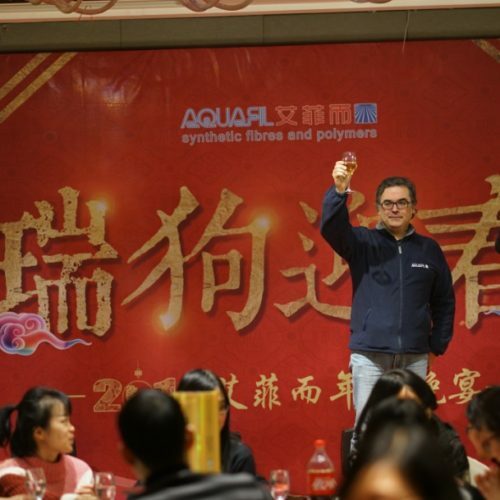 Mr. Martin Jose Luis and Mr. Tu Jiayun, vice presidents of manufacturing and finance at the chinese Aquafil plant, spoke to all the staff about future business developments in the next new year. 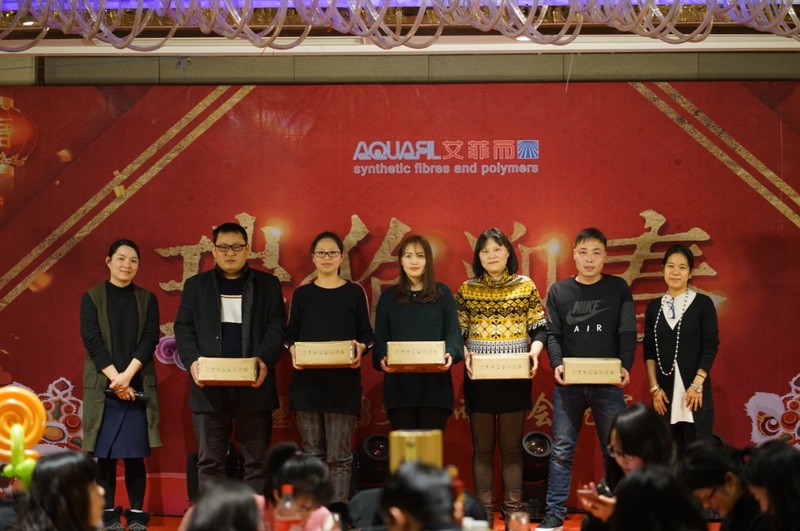 First, to celebrate a year of hard work, rest and relax with family. 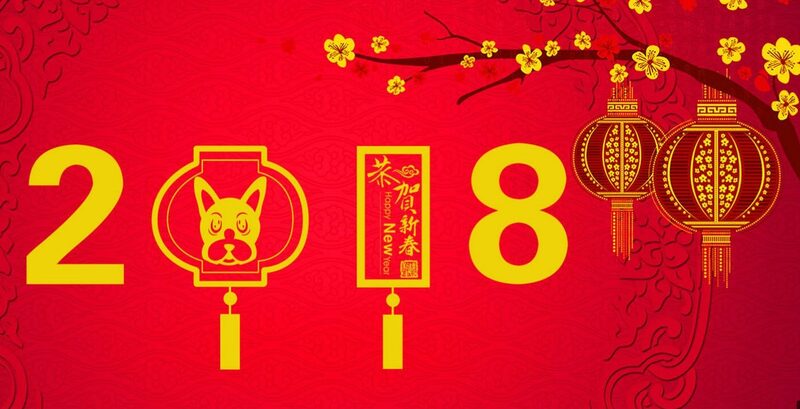 Second, to wish the year is lucky and prosperous. 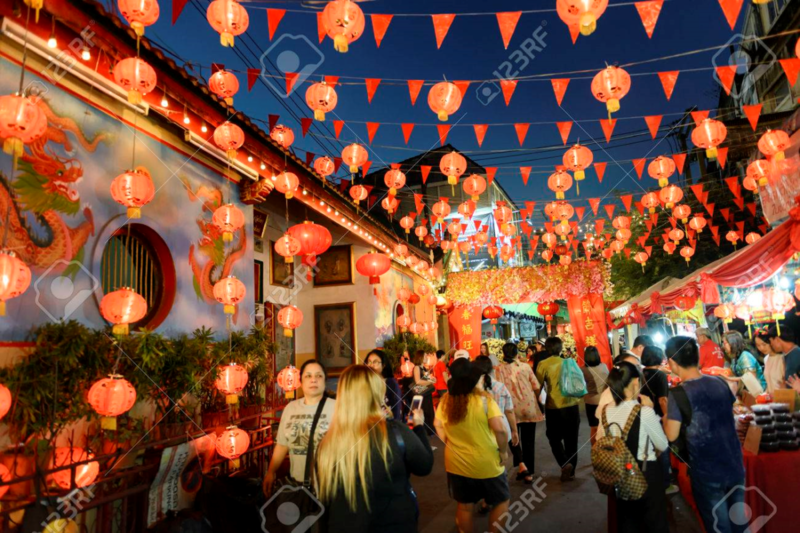 The Chinese believe that to pay New Year’s visits to many relatives and friends and celebrating with them a good start of the year will bring good luck. 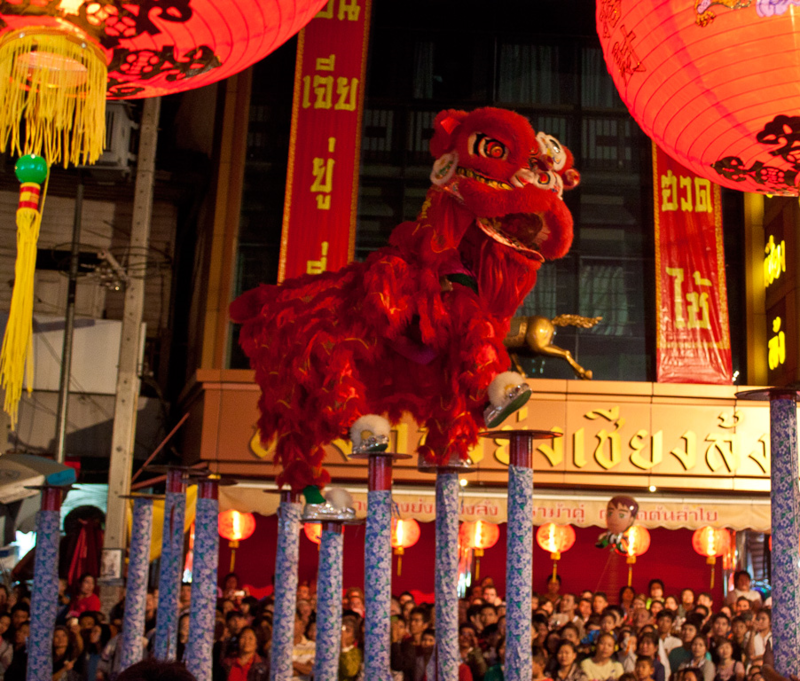 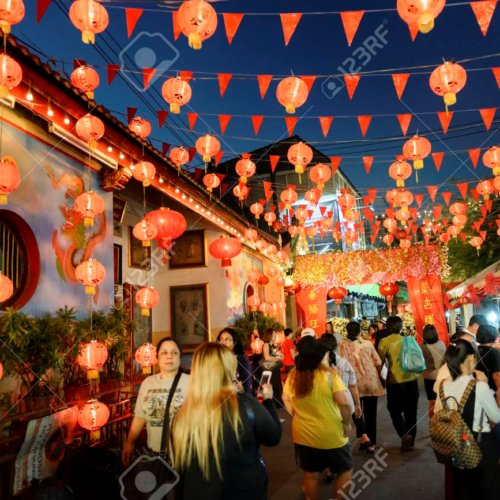 Here are some of the traditions for the Chinese New Year: decorating buildings, houses and streets with red lucky items such as red lanterns; attending character shows in temple fairs such as dragon dances and lion dances in the most area of China or imperial shows like the emperor’s wedding in the Palace Museum in Beijing; donating red envelopes ( hongbao) as a sign of good luck; and eating good luck foods.